Below is a copy of the text given me by a colleague, of a remarkable speech given by Simon Deng at the 2011 Durban Conference. It is a speech as remarkable for its pathos and passion, as for it’s aversion to hypocrisy and oppression. Please consider passing this message along. 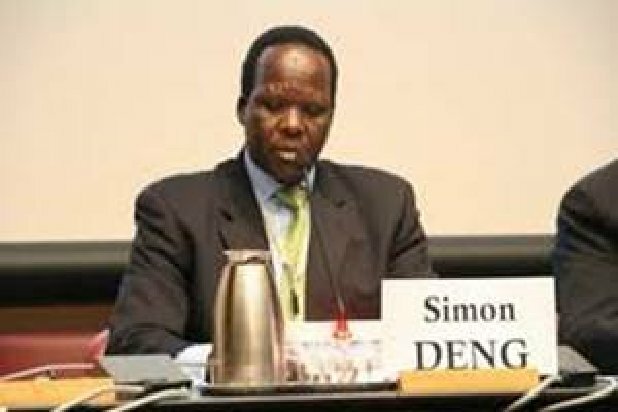 These are the words of Simon Deng, a former Sudanese child slave to Arab masters, addressing the 2011 Durban Conference in New York. I came here as a friend of the State of Israel and the Jewish people. I came to protest this Durban conference which is based on a set of lies. It is organized by nations who are themselves are guilty of the worst kind of oppression. The UN has itself become a tool against Israel . For over 50 years, 82 percent of the UN General Assembly emergency meetings have been about condemning one state – Israel . Hitler couldn’t have been made happier! The Durban Conference is an outrage. All honest and decent people will know that. But friends, I come here today with a radical idea. I come to tell you that there are peoples who suffer from the UN’s anti-Israelism even more than the Israelis. I belong to one of those people. For over fifty years the indigenous black population of Sudan — Christians and Muslims alike — have been the victims of the brutal, racist Arab Muslim regimes in Khartoum . The UN is concerned about the so-called Palestinian refugees. They dedicated a separate agency only for them, and they are treated with a special privilege. It is a conflict rooted in Arab colonialism well known in North Africa. In Darfur, a region in the Western Sudan , everybody is Muslim. Everybody is Muslim because the Arabs invaded the north of Africa and converted the indigenous people to Islam. In the eyes of the Islamists in Khartoum , the Darfuris are not Muslim enough. And the Darfuris do not want to be Arabized. They love their own African languages and dress and customs. The Arab response for refusing Islam is genocide! But nobody at the UN tells the truth about Darfur . In the Nuba Mountains , another region of Sudan, genocide is taking place as I speak (sic). The Islamist regime in Khartoum is targeting the black Africans – Muslims and Christians. Nobody at the UN has told the truth about the Nuba Mountains ..
What you find on the pages of the New York Times, or in the record of the UN condemnations is “Israeli crimes”and “Palestinian suffering”. Chattel slavery was practiced for centuries in Sudan . It was revived as a tool of war in the early 90s by the very same Arabs who today shout from the rooftops about Jews and racism, apartheid and oppression. Khartoum declared jihad against my people [for refusing Islam] and this jihad legitimized taking slaves as war booty. I don’t like talking about my experience as a slave, but I do it because it is important for the world to know that slavery exists even today. I was only nine years old when an Arab neighbor named Abdullahi tricked me into following him to a boat. The boat wound up in Northern Sudan where he gave me as a gift to his family. For three and a half years I was their slave going through something that no child should ever go through: brutal beatings and humiliations; working around the clock; sleeping on the ground with animals; eating the family’s left-overs. During those three years I was unable to say the word “no”. The United Nations knew about the enslavement of South Sudanese by the Arabs. Their own staff reported it. It took UNICEF – under pressure from the Jewish–led American Anti-Slavery Group — sixteen years to acknowledge what was happening. I want to publicly thank my friend Dr. Charles Jacobs for leading the anti-slavery fight. I have been to Israel five times visiting the Sudanese refugees. Let me tell you how they ended up there. These are Sudanese who fled Arab racism, hoping to find shelter in Egypt. When Egyptian security forces slaughtered twenty six black refugees in Cairo who were protesting Egyptian racism, the Sudanese realized that the Arab racism is the same in Khartoum or Cairo. They needed shelter and they found it in Israel . Dodging the bullets of the Egyptian border patrols and walking for very long distances, the refugees’ only hope was to reach Israel ‘s side of the fence, where they knew they would be safe. Is Israel a racist state? To my people, the people who know racism – the answer is absolutely not. Israel is a state of people who are the colors of the rainbow. Jews themselves come in all colors, even black. I met with Ethiopian Jews in Israel . Beautiful black Jews. Look at the situation of the Copts in Egypt , the Christians in Iraq , and Nigeria , and Iran , the Hindus and Bahais who suffer from Islamic oppression. The Sikhs. We — a rainbow coalition of victims and targets of Jihadis — all suffer. We are ignored, we are abandoned. So that the big lie against the Jews can go forward. In 2005, I visited one of the refugee camps in South Sudan . I met a twelve year old girl who told me about her dream. In her dream she wanted to go to school to become a doctor. And then, she wanted to visit Israel . I was shocked. How could this refugee girl who spent most of her life in the North know about Israel ? When I asked why she wanted to visit Israel , she said: “This is our people.” I was never able to find an answer to my question. In a similar manner to how they have oppressed us black Africans, the Arabs continue denying Jews their right for sovereignty in their homeland and the Durban III conference continues denying Israel legitimacy. The people of Israel lives ! This entry was posted in 2011 Durban Conference, arab militias, crimes against humanity, Darfur, Durban Conference, genocide, Israel, Khartoum, racist supremacism, Simon Deng, South Sudan, Terror, UNICEF and tagged anti-semitism, Arab hypocrisy, Arab League, Arabisation, black Jews, child slavery, Darfur, darfurians, darfuris, demonization, Durban Conference, enslavement, Gaspar Biro, genocide, Islamic oppression, islamism, Islamization, Israel hatred, Khartoum, muslimexceptionalism, North Africa, North Sudan, OIC, racism, racist forums, radical islam, refugees, South Sudan, South Sudanese, State of Israel, Sudanese, UN hypocrisy, UNICEF on June 26, 2014 by Alan in Australia.